This is just like when you are preparing a cake; you will be required to ensure with all the ingredients before starting the baking process. Similarly, it makes some sense to plan to initiate a Facebook ad before getting started. So, if you are planning a Facebook campaign and wish to make sure whether you have everything in one place before going live, here, we have a checklist for you which covers everything about it. Let’s take a deep look on it. What is the one thing you want people to do while they view your ad? People are not great at doing more than one thing at once. So if you want to isolate how you wish people to respond to your ad, whether to comment, visit your site or to view your ad videos. To do these things one should have the right objective for Facebook Ads. Further, every ad you post on the site should have a purpose. If you have a Facebook campaign that has various objectives, then run separate ads for each objective and walk consumers down a sales funnel. However, knowing the right objective for Facebook Ads will benefit you to optimize your Facebook Ad for your objective. If you need traffic, then it will find a target audience for your Ad and make them view your Ad on Facebook. As well, if you need people to comment, then it will find the target audience and enthuse them to comment on your ads. Furthermore, knowing your objective means you can get a small robot over at Facebook Ads to do the work for you. So, What is the one action you required from the people to do when they view your ad? The audience is one of the toughest things to master with Facebook advertising. Are you serving your Facebook ads to the people who want or require your product? Usually, think of the audience nearly as trends like considering country, location, age, and gender. However, nailing your objective aids you to think a little bit hard about the target audience. Are you trying to find a new target audience for your business and to maintain a reputation among the existing audience? 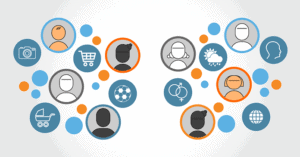 If yes, then you might require to consider your target audience behaviors and interests. Perhaps they are likely to spend money online. Further, if you are seeking to express your portfolio to the existing consumers, then you must retarget your existing audience such as your website visitor by using the Facebook ads. 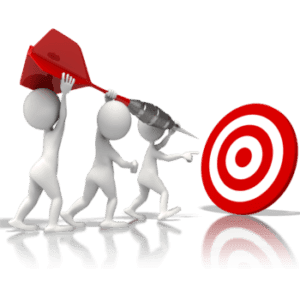 Furthermore, it is quite simple and easy to start broad with your targeters and make sure with your objectives with your targeted audience to do things which you require from them. Moreover, if you are targeting a new audience, then you might need to separate the ads as both sets of consumers have various requirements from you. So, question yourself with the following queries before creating a Facebook ad. Are you aiming the people who already know your business or the people who are new to your business? 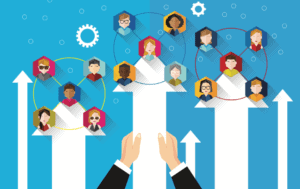 What source do you have to aid refine your target audience? Make question like do you have an existing mailing list, Facebook Pixel to track your visitors and consumer phone numbers. Does the target audience have specific interests to target by? When we think of Facebook advertisement, the first thing that comes in mind is copy and images. However, your Facebook advertising objectives and target audience can virtually change how your copy is constructed. Further, doing a business model sailor or lean startup sails can be virtually useful to aid you to emphasize both the barriers your consumers face to purchase your product and the drivers which encourages them. What is specific about your service and product? 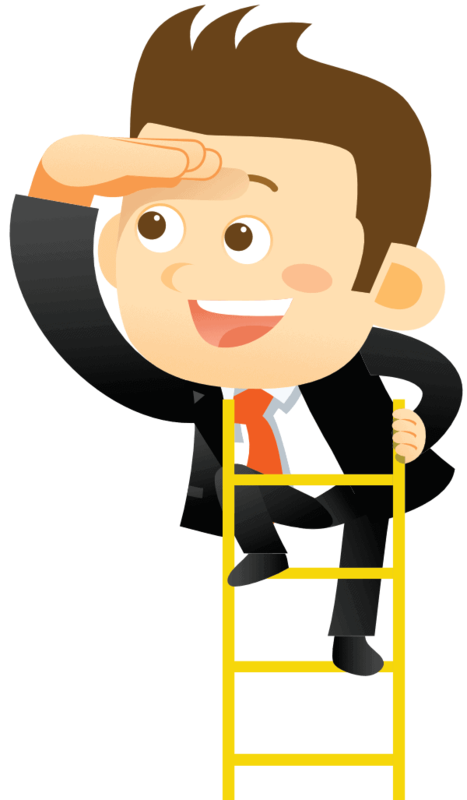 Spy on Competitors Facebook ads in your arena and try to figure out how you can make your Facebook Advertising statistics to stand out. Make a note about three to four things which you can do better than your competitors. Then make use of those selling points in your Facebook campaign. Write your Facebook Ad ideas and make them go live. Do you have any added values which you would like to say about your products to your audience? In the text field of your ad introduce your brand details and give your visitors to delight their eyes with pictures and describe who you are, where you are situated and what are things will be given as best as you can. This is one of the essential things when you are planning a Facebook campaign. Make various ads and blend their text and images in your ways. This will aid you with the answer to what works best for your Facebook campaign and what sort of ad will get more clicks and what advertising will generate most sales or likes. Usually, you should test your ads in various age groups to view which age people are reacting for your ads. Try to do this in a unique path. With this, you have the chances to discover your contents to the consumer group where you least anticipated it. 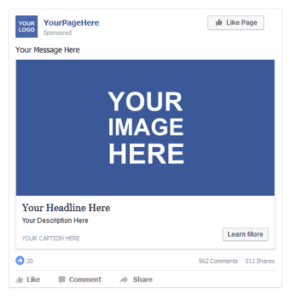 If you lead a business which is physically located somewhere, then it is pretty straightforward for you to advertise your ad via Facebook. You can promote it to the people in your arena. However, if you lead a web business of some kinds, then you need your target audience to sign up with your page from all over the world. So, a test where your Facebook campaign will get succeed. Are your service and products nearly tied to unique interests? If yes, define who are all interested in what and target them with your Facebook advertising. Before start initiating your advertisement, make a creative idea about how much you are required to spend per post for your Facebook campaign. Then take into thoughtfulness that you might have to invest some initial monetary on the examining phase. Before that make sure that what type of advertisement your audience responds to. When you plan for an advertisement, you can choose how much you are willing to invest in paying for a click. Usually, the more you pay, the more you will get an impression for your ad post. However, staying near to the bid is wise, but you might require to examine the different strategies. There are two models to choose from. One is Pay per click, and the other one is pay per thousand impressions. Hence choose the right one for your campaign. 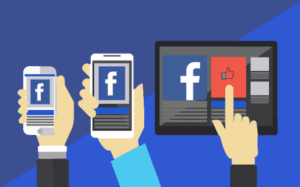 Are you planning to initiate Facebook Ad for your brand? Then the tips mentioned above will aid you to launch a perfect Facebook Ad. After starting it, Facebook Ads Monitoring will help you to seek to improve your ad. Make use of these guidelines and run your Facebook Ads from failing. Thank you! Nice article thank you very much for sharing with us..
Great article for beginners, i have some knowledge on fb ads, but this article gave me extra ideas. Also thanks for writing articles on Facebook ads. I found really useful. I will definitely consider all the factors before creating Facebook ads. This is pretty deep bro. In-depth guidance on Facebook Ads especially for beginners. I have not ever tried Facebook ads. I wish I will try soon for products. Let you know my results soon. Love the article Siddharth! Glad, I found this. I understood the main things I should be knowing before going for Facebook Ads. Good pointers with useful info on FB Ads…thanks Siddharth! It’s that target audience age is also a must factor in the success of a facebook ad campaign. It’s a vast topic .. you should have made a separate section for this. Other then this, I love your article and your writing style.